In a study conducted by Builder.com, researchers determined that nationwide, it would take “nearly eight years” for a first-time buyer to save enough for a down payment on their dream home. Depending on where you live, median rents, incomes and home prices all vary. 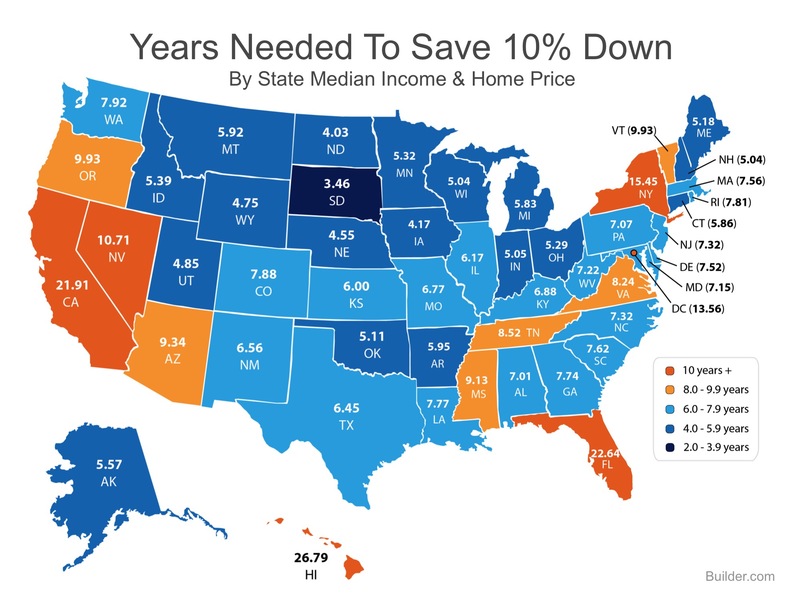 By determining the percentage of income a renter spends on housing in each state, and the amount needed for a 10% down payment, they were able to establish how long (in years) it would take for an average resident to save. What if you only needed to save 3%? What if you were able to take advantage of one of the Freddie Mac or Fannie Mae 3% down programs? 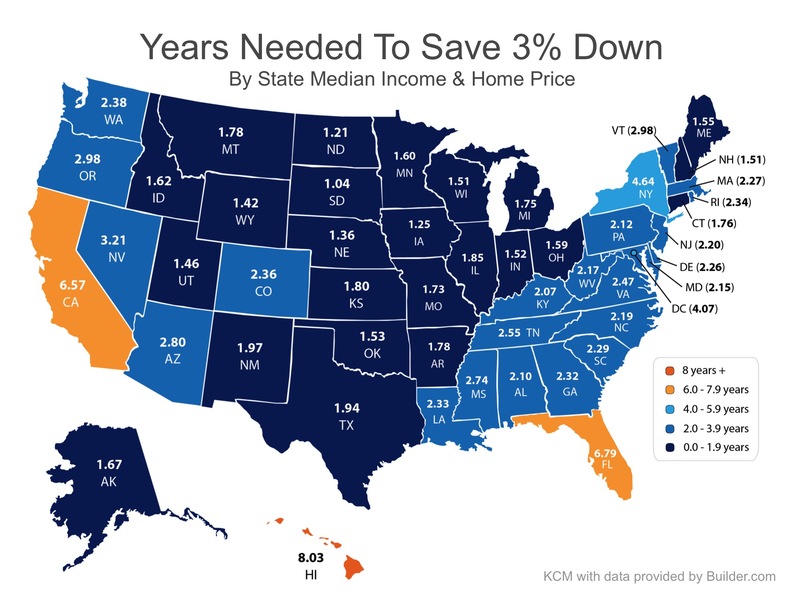 Suddenly saving for a down payment no longer takes 5 or 10 years, but becomes attainable in under two years in many states as shown in the map below. Whether you have just started to save for a down payment, or have been for years, you may be closer to your dream home than you think! Let’s meet up so I can help you evaluate your ability to buy today.